You will save time by travelling at motorway speeds on EastLink, compared to slower, more congested local roads such as Stud Road and Springvale Road. Over its full length, EastLink by-passes at least 45 traffic lights, saving time and fuel, and reducing wear and tear on your vehicle. Your travel times should also be more reliable when using EastLink. Vehicles using EastLink will mean fewer vehicles on local roads - so some of your local journeys may become easier. Click here to view the Eastlink Website! Carrum Downs has three shopping areas. The Carrum Downs Regional Shopping Centre is located on Hall Road in the centre it has two banks, a Safeway Supermarket , Post Office, pharmacy , newsagency plus 40 other shops including liquor shops, clothing stores, fast food outlets, restaurants and real estate agents. 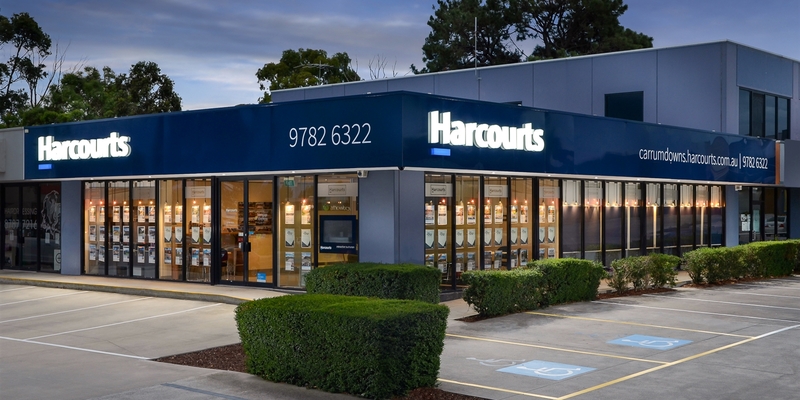 The Local Village @ Carrum Downs is located on the Dandenong-Frankston Road and has approximately 12 shops including IGA supermarket, Geos cafe, bakery, news agency, salon and pharmacy. Directly opposite the local village there is another small retail / business park. The third shopping area is located on the corner of McCormicks Road and Ballarto Road & includes 22 specialty shops as well as a Coles supermarket. AFL: The Skye Bombers play their home games at the Recreation Reserve on Wedge Road. Auskick: (for 5 - 12 year olds) The Rowellyn Park/Carrum Downs team plays its games at Banyan Reserve. Baseball: The Carrum Downs Baseball Club has junior and senior teams and plays its games at the Botany Park Reserve on Quarrion Drive. Clay Target: The Frankston Clay Target Shooting Club is located on Rossiter Road in Carrum Downs, as is the Victorian Field & Game Association. Cricket: The Carrum Downs cricket club is based at the Recreation Reserve on Wedge Road. Driving: A variety of driving training courses (including defensive driving and motorcycle training) are held at DECA training on Thompson Road. Paintball: Paintball Carrum Downs is located on Highview Road and features a 50 acre paintball field. Soccer: Carrum United Soccer Club is currently located outside the area. The Junior team plays at neighbouring Skye at the Recreation Reserve. The Senior team plays at the Italo Australian Club on Frankston-Dandenong Road, Dandenong. Tennis: Facilities are available at the Carrum Downs Tennis Club at the Recreation Reserve on Wedge Road. There are four acrylic hard courts which replaced the two synthetic grass courts and two asphalt courts in 2006. there is also a Tennis Club located on Ballarto Road in Skye. Gymnasium: There are two fitness centres in Carrum Downs, located on Frankston-Dandenong Rd and a ladies only fitness centre located on Hall Rd.